Daniel Watson - Angel Sword LLC. Daniel Watson first embraced swords as a martial artist. This is one reason why Angel Swords, when held, feel like no other blade. Watson got his first sword – a 300 yr. old Chinese jian – when he was 9 years old. This sparked his interest in martial arts. A few years later he got a job working in a welding shop that provided his introduction to metalworking. These two events helped develop early interests that eventually turned into his calling. 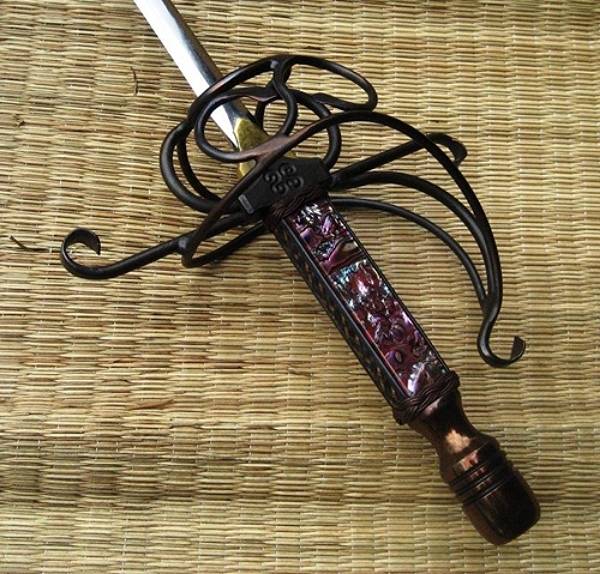 After dabbling in metalworking and forging for several years, Watson started making swords seriously in 1979 while he was teaching martial arts in Cuernavaca, Morelos, in Mexico. He began selling swords at his martial arts school, where he taught Shaolin Kung Fu and Tai Chi Chuan. He later started selling his swords at martial arts tournaments and seminars. Watson moved back to Driftwood, TX, in 1983, founded Angel Sword, and started forging and selling swords full time. Today, Watson is a featured artisan at renaissance festivals in Texas and New York, and keeps a busy schedule attending numerous knife shows around the country.